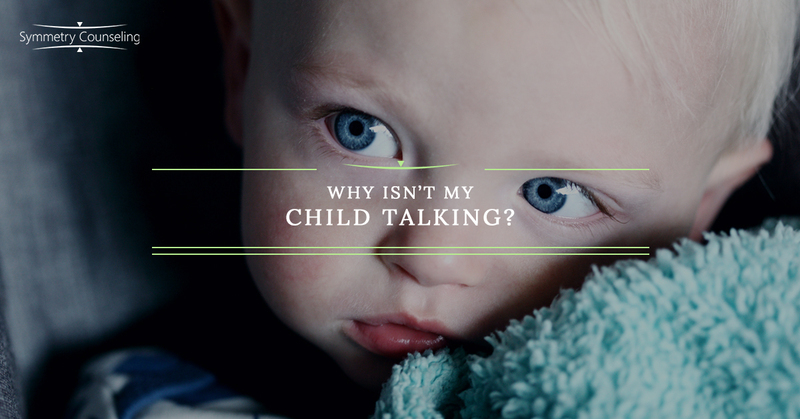 Psychologist Chicago: Why Isn’t My Child Talking? I will never forget the day my mom reached out to me and told me that my younger brother had talked to his teacher for the first time. I was so excited and continued to ask her questions of how it happened. For many, this might not seem like something that warrants excitement, but for my family, this was a significant event. My brother was in fifth grade and he had been struggling with an anxiety disorder that not many know of, called Selective Mutism. Selective Mutism (SM) is a relatively rare anxiety disorder where individuals are unable to speak or communicate in settings where they feel uncomfortable. Although SM may be seen into adolescence and adulthood, it is primarily a childhood disorder. According to the Diagnostic and Statistical Manual of Mental Disorders 5th Edition (DSM-5), although the onset of SM is generally under 5, it often goes unrecognized until the child is in school – as a child with SM is often higher functioning and speaking regularly at home. With their first school experience, the amount of social interactions and tasks where they are forced to perform increase, and their high anxiety is shown. Selective Mutism is not to be confused with being shy or struggles with speech or language. Children with SM have normal language skills, but struggle to speak as a protective measure from the anxiety that they feel. This may appear different in each child. In some situations, children with SM may stay completely silent in social situations, while others may be able to communicate in whispers with a trusted friend. Consistent failure to speak in specific social situations in which there is an expectation for speaking (e.g., at school), despite speaking in other situations. The failure to speak is not attributable to a lack of knowledge of, or comfort with, the spoken language required in the social situation. autism spectrum disorder, schizophrenia, or another psychotic disorder. For children with SM, treatment primarily includes behavioral and exposure therapy. A major goal of treatment is to work toward building a child’s confidence in social situations while decreasing their level of anxiety. Prior to exposing a child to situations in which they feel uncomfortable, it may be useful to begin practicing coping skills – such as relaxation techniques and mindfulness. Through time, beginning to practice these coping skills in stressful situations will help to soothe these situations for them. While this treatment is taking place, it will be important to practice patience. Attempting to force a child with SM to speak before they are ready, or punishing them when they unable to, will do more harm than good. Instead, practice applying positive reinforcements when the child shows progress with speaking more, or practices coping skills. Additionally, it may be helpful to speak with the child’s teachers or coaches to explain what their lack of speech is not due to opposition, but to fear. Together, you may be able to discover other forms of communication, such as writing down answers, utilizing nonverbal cues, or allowing their friend to talk for them. If you recognize any of these symptoms within your child, it may be helpful to connect with a therapist! Contact Symmetry Counseling today to schedule an initial appointment with one of our specialized clinicians! If you would like to learn more about Selective Mutism, please consider looking at the Selective Mutism Association’s website.